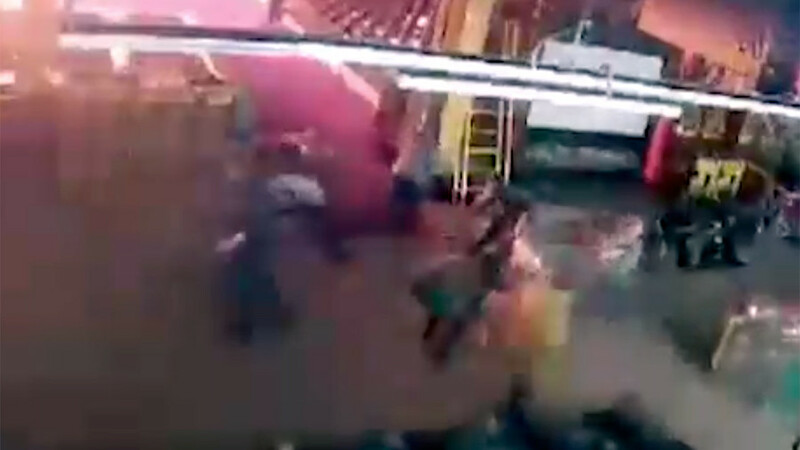 Traumatized locals have taken to the streets in the Siberian city of Kemerovo. 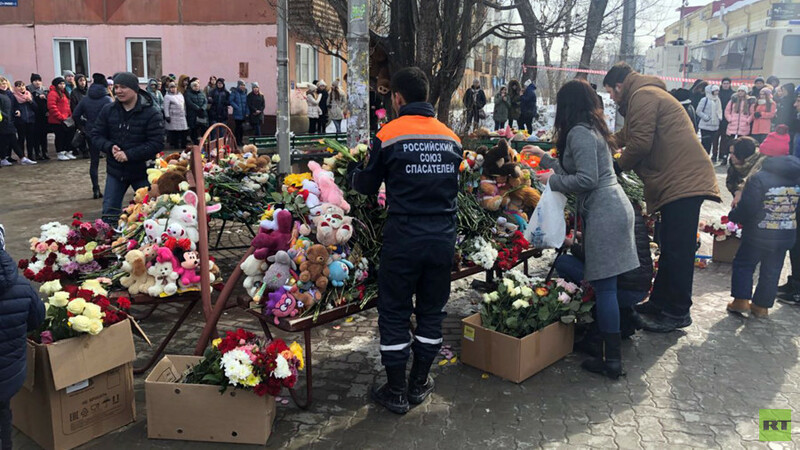 Many are calling for the resignation of authorities after a fire in a shopping mall left dozens dead, including many children. 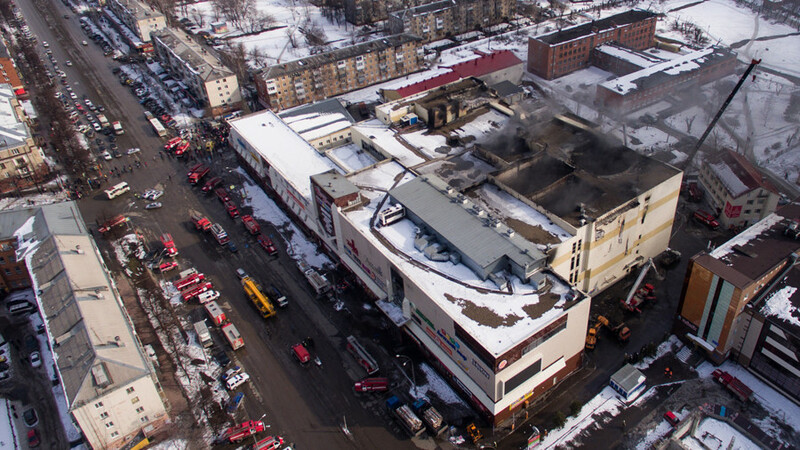 On Tuesday morning, hundreds of people came to the regional administration headquarters after a massive fire at the Winter Cherry Shopping Center claimed the lives of at least 64 people, according to emergency services. The demonstrators commemorated the victims but also vented their anger at the authorities, demanding punishment for those responsible for the tragedy. The protest came after multiple witnesses said that the fire exits had been blocked and there was no alarm. This was later confirmed by investigators. Outraged locals also blame the authorities for negligence, and say that corruption led to the tragedy. Relatives of the deceased also turned up at the impromptu rally. 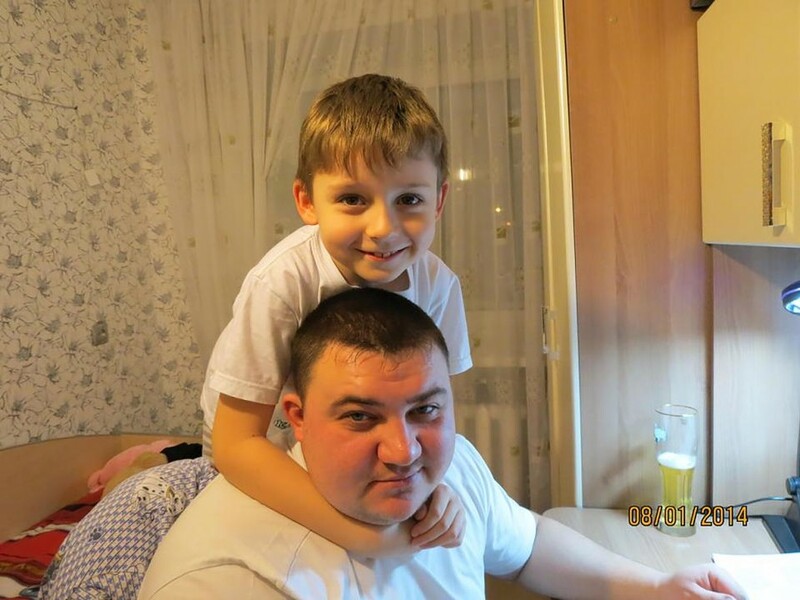 Igor Vostrikov, who lost his family, including his three kids, his wife and his sister, said that justice must be served following the harrowing tragedy. A man whose daughter was trapped in the mall also shared his story during the rally. He recalled a phone conversation with his child. “I am here, dad,” she said crying. “I told her ‘lie down to the floor and breathe. Breathe, don’t die,’” the man said. As the protest gained momentum, locals were heard chanting “truth” and “murderers” during the rally. Some social media reports claim the death toll is much higher than the 64 already announced. Local authorities, however, dismissed the allegations. Kemerovo Mayor Ilya Serdyuk suggested visiting a local mortuary to debunk the rumors. One of the activists who went to the mortuary said that what they witnessed had been consistent with the official account of the casualties. “I was at the morgue on Volgodradskaya Street. There are 67 bodies there, 64 of them are from the Winter Cherry [shopping center], they are burned. Three others are not related to that incident,” Alena Lenina told RT. Asked where those rumors had originated, the woman said that the city is very small and everyone has relatives and friends, who are trying to find ways of dealing with the incident. “They may have access to some exclusive list. People exchange information and say that you shouldn’t believe the numbers – it’s not 64, it’s 300. So, it creates a chain. Everyone shares it on social media – messages, video, screenshots appear…” Lenina explained. She added that some of the footage appeared to be from another blaze, and “some people are exaggerating it.” Meanwhile, others still argue that the true number of casualties may be higher, as it was a school holiday and a Sunday, meaning that the mall was packed with shoppers. 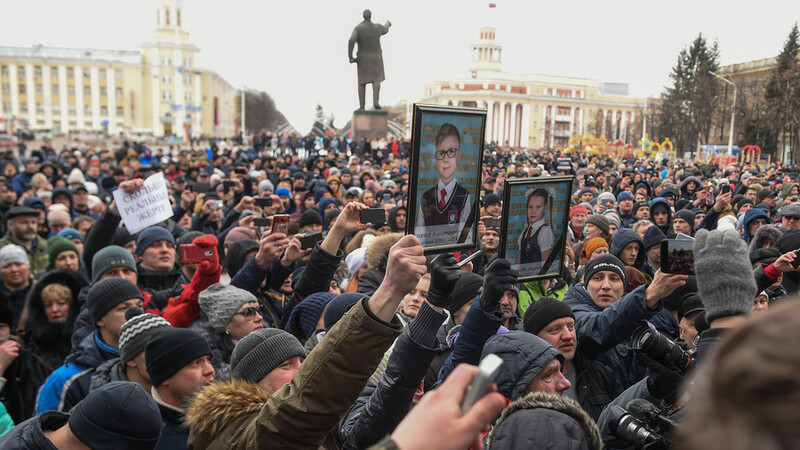 As the rally unfolded, deputy Governor Sergey Tsivilev even went on his knees in front of the crowd, saying that he wanted to apologize to those affected by the tragedy. 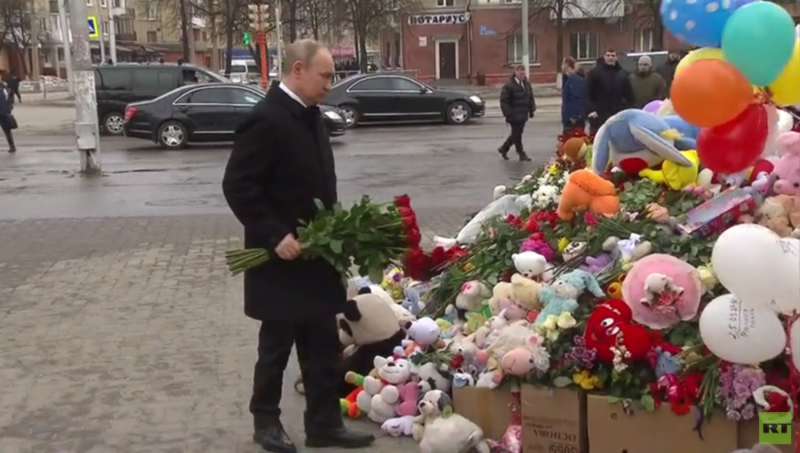 President Vladimir Putin went to the city to pay tribute to the victims on Tuesday. Shortly after laying flowers at the improvised commemoration site, he met with locals, including relatives of the victims. 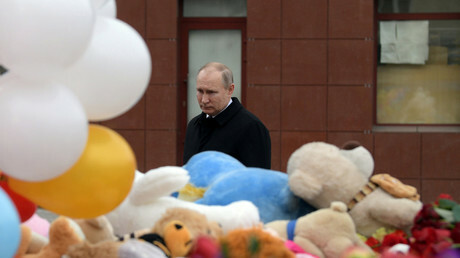 “Make no doubt, all those guilty will be punished,” Putin said, adding that around 100 investigators are working on the case. The president cautioned that it’s still too early to pin the blame on anyone before all the facts are on the table and the inquiry is concluded.